Founded late 2012, in Kerala, India, Amorphia are amongst the founding fathers of old school thrash, within India. Inside 6 years, they’d brought out 3 releases and shared the stage with some of metals’ best-known acts. The debut ‘Master Of Death’, in 2014, became rapidly known throughout India’s underground scene and various other countries. Signing with Transcending Obscurity Records, in 2016, ‘The Leiber Code’ was then launched. Current offering, ‘Arms To Death’, was released in April 2018, to international acclaim. Amongst their inspirations are Sodom, early Kreator, Accuser, Demolition Hammer and Slayer. Amorphia bring a uniqueness to the metal scene, whilst acknowledging their roots. Previously opening for Defiled (Japan), Dehydrated (Russia) and Gotsu-Kotsu (also Japan), Amorphia have cemented their reputation as a visceral and vicious old school thrash band. Never wavering from their path, their sound remains the same. Necromancers – Smooth intro, low toned bass and riffs providing an almost Gothic impression. Ease of delivery, well conveyed, with lots of technical guitar wizardry and a decent bit of whammy inclusion. All the time, the vocal effects are verging on death and the accompanying lyrics build a Gothic picture, adding to the slightly funereal melody. The main thing here is the ease of flow, but it’s missing something approximating a standout feature. Army Of Evil – Instantaneous drumbeat opening, this is better. A clear edge and a louder, more aggressive impact. Still doesn’t fill me with excitement, but it’s definitely angrier, faster paced and appears more confident. Shorter than expected, but it’s sharper, especially on its exit. Toxic Death – More of a thrash angle to this intro, instantly audible and working up a good speed element. Unarguably lyrically enthused and capably consistent pace, creating something of a power aspect. Some nice tasty riffage in there, upping the melody and melting fretwork. No argument with the effort displayed or the musical proficiency. Just needs a touch more, okay a few touches more, melody. Camp 22 – Banging drum intro, joined by a vibrato section and more deathy vocals. Greater bass involvement, a stronger rhythm and an improved structure, adding power and credibility to the arrangements and building a stronger rhythm, throughout. Again, that powered riff section adds a livelier feature and generally, it’s moving in the right direction. Nuclear Warfare – Seguing straight into it, with complete fluidity. Good start. Edging towards a blackened vocal style. Still just audible enough for thrash. Lyrical content growing blacker, though. Intriguing change of pace and direction around 3/4 in, then returning to the prior rhythm. Building in that towering riff motion well, working in the vibrato segments. A very visual and quite plausible presentation. Nice darkened tone, increasing towards the end, adding that much-needed atmosphere. 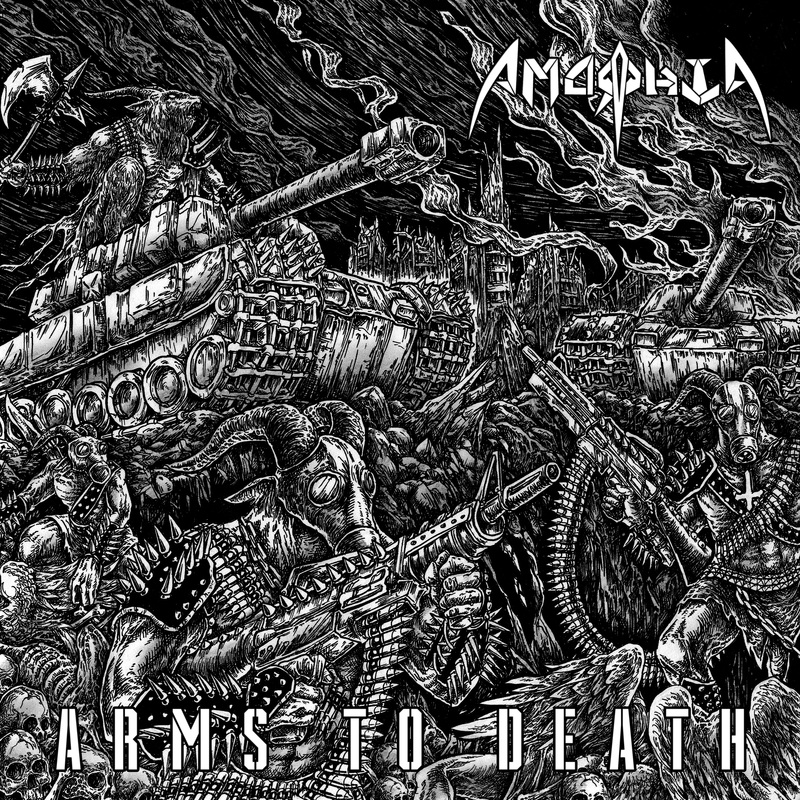 Arms To Death – Quick paced drum and riff intro, getting right into its stride. Well-placed title track, clearly creating a stronger atmosphere and lifting and lightening the vibe. Actually quite distracting, to the point of mesmeric, in its chorus and although repetitive, it is catchy and it is consistent. Good momentum. Airborne – Similar sound again, but it’s solid in its consistency and the craftsmanship’s faultless. Slightly classic thrash sound to this, echoing some of the greats, such as Exodus, Kyuss, (bear with me, it combines Kyuss’s bass and lower range, with Exodus’s vocal style and riffs), Municipal Waste and perhaps, a very slight feel of Megadeth, round the edges. A denser, possibly duller feel to this, in places, but what it lacks in memorability, it compensates for in relatability. The Lieber Code – Political oration introing. Moving right into a lively, vibrant riff section, taking the vibe right up, with the easy rhythm and memorable chorus line. Lots of heavy end drumming and a powerful whammy section, bringing a whole new identity to the sound. Clever inclusion of a familiar riff and bass line. Striding towards the finish, it closes on an undeniably accessible riff, echoing a hybrid of ‘Tallica’s ‘Seek and Destroy’ and Priest’s ‘Nightcrawler’. Overall – So ‘ATD’ didn’t grab me, initially, but it’s range and accessibility definitely increases throughout. As does its catch. Yes, it starts out with a darker and more Gothic air, more suited to blackened death productions, but bear with it and the thrash influence will reward you in the end. Added to which, the whammy/vibrato inclusions create a livelier vibe. One thing it does have is well honed musicianship and a confident flair for performance, worth holding out for, in itself. An intelligent composition. For fans of Exodus, Kyuss, Metallica, Hammerstroke, Megadeth, Judas Priest. Withdrawal of consent to use ANY blog content anywhere, unless legitimately sharing reviews (sourcing/referencing accordingly). Any use of the site for ANY irrelevant or dubious purposes will lead to deletion from the site and possible reporting for abuse. Anyone adding ANY unsolicited links will now be deleted. I will no longer respond to repeated queries. As ever, constructive, relevant feedback is still welcomed and appreciated and I’ll still do my best to monitor it, when possible and respond accordingly, if necessary. However, as my health now limits even further the time I can spend online, I’ll now only be responding to queries which clearly necessitate responses. Thankyou all for your contributions, patience and support. 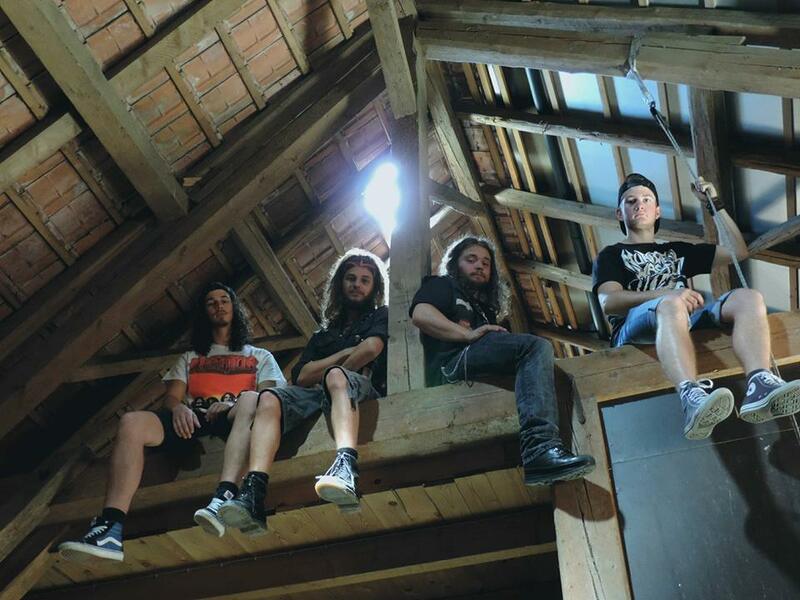 Founded 2013, Corpus Delecti is a Swiss thrash metal band. As the logistics of discovering a bassist proved difficult, vocalist Sileno Puntener does double duty. Initially, covering old material, CD then began writing original songs. Plans to create an album followed a line-up change, in winter 2015. Recording began in 2016 and by the summer of 2017, the process was complete. Their first gigs followed. Released in spring 2018, independently, originally and later via Blood Rite Records, ‘Break Everything’ is their debut album. 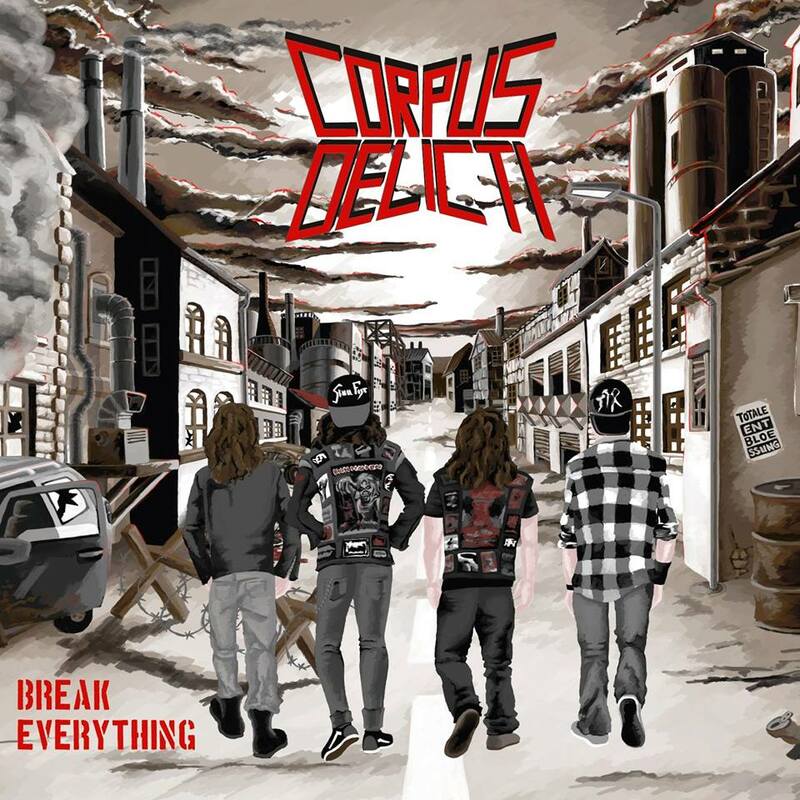 Break Everything – Nice smooth intro, gradually fading into a very punky, aggressive sound. Classically punky anarchist lyrics too. Changing the beat down, from there, then speeding it back up again, consistent vocal pace and pitch, definitely more shouty than sung, but nothing else would work for this track. For all its aggro flavour, it’s still quite instrumentally melodic and on the whole, its unarguably catchy. Good start. Rising Darkness – Another gradual fade in, but faster pace this time. Again, there’s an ease of delivery about it. Cohesive strand to the lyrics and an obscure monster section, like a slower rpm, with sound effects, followed by a band harmony. Nice whammy closing section. Fairly short, but typically punky in brevity and style. Chaos Prevailing – Siren intro, surrounded by chaos and destruction, evoking strong visual imagery. Well-connected lyrics, tying them together with the themes. A catchy rhythm, approximately 3/4 in, much passion’s detectable in here. Ending on a powerful shout, it leaves an imprint. Choose Your Grave – Immediate impacting intro, with something of a Viking intent. Palpable power lies behind the vocals. Good strong beat and memorable melody. Even briefer this time and ending on another heartfelt shout of anger, dredged from the base of the diaphragm. A real enjoyable edge to this calls for disappointment at its brevity and it just leaves you hungry for more. It’s that classic cruelty of a track ending, just as you were getting into it. It needs to be longer. Blinded By Rage – Banging instant intro here, with strong drum and cymbal presence. Strengthening the tone and timbre some more, accompaniments always powerfully melodic. Great bridge. Tight, upbeat, flawless delivery. Taking it up and down inside those scales, so sensually, yet still keeping and combining it with that awesome aggression. Collectively harmonised ending, creating an early signature, in that lovably predictable shout of victory. War – Very smooth, riff led intro, joined and supported by the bass and drums, in an aural depiction of war. Faster and faster, the pace gets. More ritualistically hypnotic in the chorus. Ace riffage, creating that darkened atmosphere and taking you there in your head. Plausible cohesion and collective intent screams throughout it. This is a tightly connected band. Fading out, on a final anguished, but still victorious shout. Inquisition – Gorgeous high-pitched riff intro! Right into the fray, with an eastern edge to the riffs and now, becoming thrashier and angrier. Powerful bass line and backing riff, forming the visual backdrop. Firmly entrenched drum section, solid beats, cementing the track’s immortality. As the pace speeds up, in the catchiest way, an air of party metal closes……. or so you think! Until a hilariously obscure metal version of ‘If You’re Happy And You Know It’ suddenly infiltrates the inner sanctum, taking the closing section in a whole different direction altogether. At that point, the only thing left to say is WTF? One thing’s for sure, though. You won’t forget this! Overall – A lively and attitude packed album, of punchy metal, straddling the line between punk and thrash, but always delivering and never compromising on spirit. A lighter hearted Exodus. For fans of Exodus, C.S.O.D., Mind Patrol, Municipal Waste, Satarial, Pantera, D.R.I. 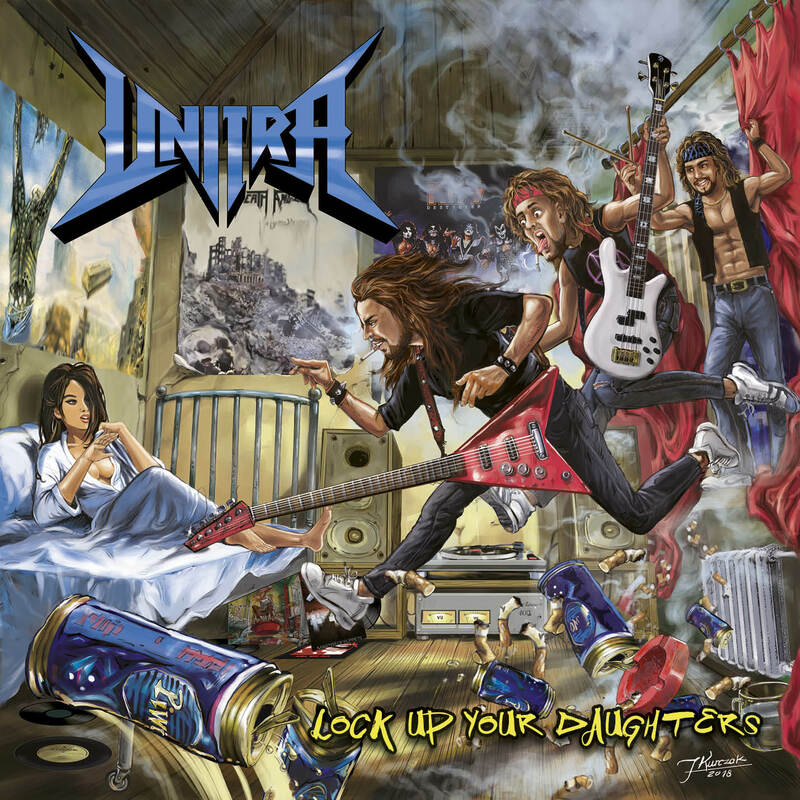 In short, UNITRA play straight out cheesy, old school metal, with classic 80’s themes and a huge helping of humour. A 3 piece, who waste no time in bringing you the best of the past and teleporting it here, to present times, they’re refreshingly down-to-earth escapism, plus a healthy dose of spirit. Unitrium – (The Heaviest Of Heavy Metals) – The track title’s got me excited, before I’ve even heard it. Opening with an intriguingly unexpected acoustic riff and moving into a wave formation, the drums provide a gentle rhythm, to a softly melodic backdrop. Short and sweet and deviating from my expectations, though still a pleasant intro, indicating a gradual buildup to a heavier sound. Enforcer – As anticipated, full-scale power riffs join the party here). Speed, light-hearted melody and true roots of old school lyrics. A joyful sound, alternating the speed with slower paced arrangements, it’s a thoughtful construction. Prime ‘Heavy Metal Killers’ material here, complete with anthemic harmonies and all over feelgood vibes. A classic track. Violent Storm – Darkening the tone, slightly and adding a sinister, yet thrilling laugh, before returning to an interplay of light and shade. Great strength in those vocals. Cohesive, playful and experimental in places, the tones are always vibrant, yet alternate. The closing rain effects complete it well. Total Annihilation – Bang! Ace heavy drum intro, shifting it up a gear, into high-level, high-powered speed. Very ‘Tallica-esque, ‘Kill Em All’ era like, echoing ‘Metal Militia’, fabulously. Changing the rhythm, again, briefly back to ‘HMK’ territory, this is undeniable joy. A fire filled funfair of metal. Aced it. Tyrant Rex – Taking it right back up again, to high fevered, melodic heaven. I defy you not to air guitar, when those awesome riffs kick in. Just filled with high-spirited melody and ecstasy, catchy as hell and pure standout stuff. Those anthemic sections work so well and even verge on pirate metal, at times. A thrill ride to savour and then replay. 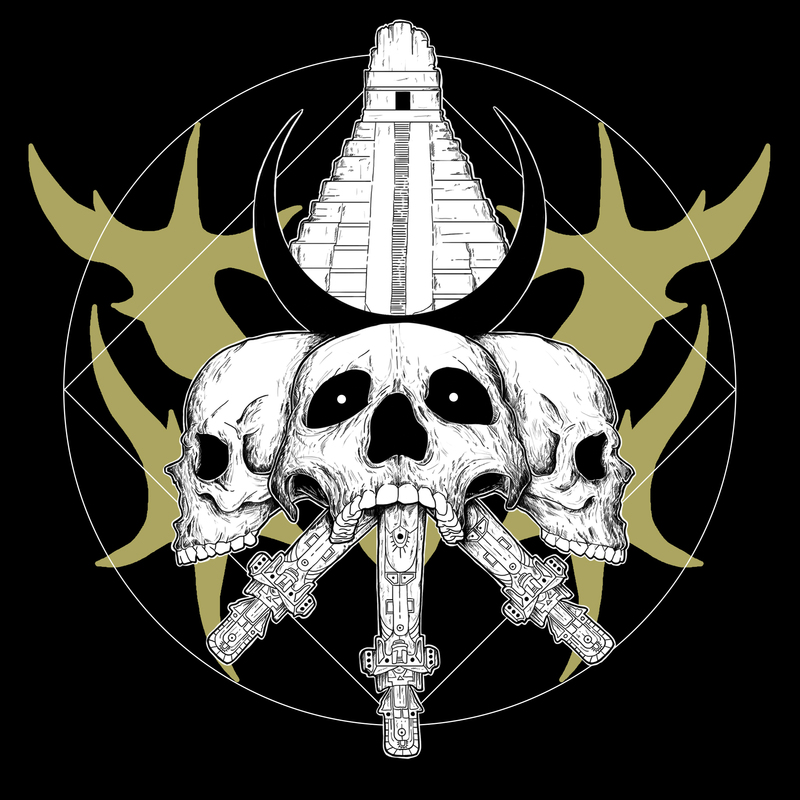 (We Are) UNITRA – Introing with the sound of a beer bottle opening, blasting right into energised life, with another ‘Tallica-esque, ‘Kill Em All’ style. Adding their own united intent and throwing in some red-hot guitar licks and a collective Hetfield-esque laugh, at the end, you’ll be instantly lifted and remember this track, for the rest of your days. American Girl – (Bonus Track) – Gorgeous intro riff. Moving straight into upbeat speed metal, adding a wolfish howl, for atmosphere). Just a joy. Such catchy sounds and their enjoyment’s so well conveyed. Huge uplifting feel to this and a real warmth within it. Ending on a riff which seems to skid into the steer, it’s a well chosen closer and a total pleasure ride altogether. Overall – ‘LUYD’ is a buzz filled thrill ride, from start to finish. Energised, feelgood upbeat territory, condensed into 7 tracks of utter joy and pleasure filled abandon. Driven by clear and simple metallic enjoyment, this’ll take you back to the basics of metal’s message – love the music, first and foremost. For fans of Metallica, White Wizzard, NWOBHM, classic old school metal. Portuguese metal band Sotz now present their new single, ‘Baak’. Following up their last release, ‘Tzak Sotz’, in October 2017, Sotz are influenced by ancient Mayan Civilisations. ‘Baak’ was released in July 2018 and more info will be available in due course, from the band’s own sites and via Raising Legends Records, on which both tracks are released. Baak – Crushing intro! Steel attack incarnate. As heavy as it gets and lots of powerful percussion emphasis. A pure instrumental, utilising every opportunity for blistering riffage, of searingly face melting proportions. Consistently catchy beat throughout. Grating your senses in a heavily metallic way, this shows the progression of Sotz’s music, into increasingly heavier realms. Impressive, as always. For fans of Spreading The Disease, Obzidian, CHUGGER. Produced, mixed and mastered by Andre Matos and Sotz, at Raising Legends Studios. Featuring Luis Moreira. 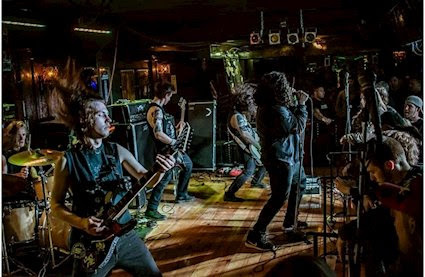 Ohio thrash band SUBTYPE ZERO (previously known as CRINGE) have been performing around America for 4 years. Recapturing the classic old school sound of the giants of thrash/crossover metal, SZ are the real deal. Their debut album, ‘The Astral Awakening’, released on 24th August, 2018, via Seeing Red Records, follows EP ‘Through The Mist’ and in collaboration with death metal band CRYPT ROT, SZ have been burning holes in the underground scene, since forming in 2014. Cover artist R Yudha Saputra, alias Vgarthdoom (Gatecreeper, Homewrecker) created the album art and ‘TAA’ was mastered by JB Van Der Wal (ex- Aborted, Dool). Recorded at Bricktop Recording, Chicago, Illinois, engineered and mixed by Andy Nelson. SZ have just commenced their tour, to promote ‘TAA’ and are available for interviews. Blinded By Light – Sinister, sophisticated steel string intro, moving right into a complex electric riff section, laced throughout with technical paradiddle mastery and even a whammy bar inclusion, for good measure. Angered expressive shouts walk the line between thrash and death, hitting it right in the middle. Brilliant intro, boding well for the rest. Shrouded Mistasis – Instant impact, seguing straight into it, with seamless transition. As the vocal anger increases, the guitar wizardry deepens, ratcheting up the darker tone and ending on a sudden, edgy speed riff. Excellence just emanates from this. Become Insane – Opening with a highly electrified riff, just blazing with life and high-calibre energy. Everything in perfect sync, the collective enthusiasm blitzes through, till the end. Unprecedented Salvation – Awesome Slayer-esque intro riffs, burning the place to the ground. Intense as hell and simply thrashtastic, echoing ‘Spirit In Black’, along with the rest of the best of ‘Seasons In The Abyss ‘. It’s a burning fire brand of smouldering metal. 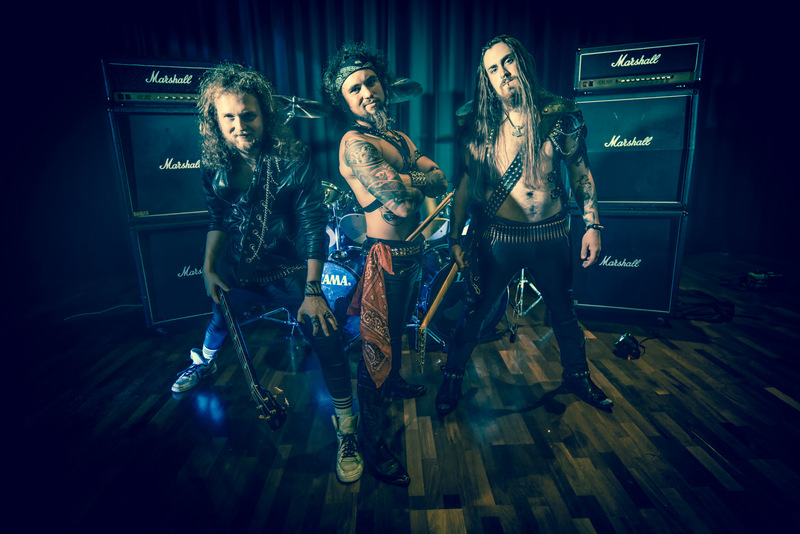 Twisted Obsession – Getting right in there again, with raging speed riffs, thrash mood and insane pace, killer hit material right here. The power inherent is startling and the slight European angle adds to the flaming buzz of the overall sound. Flesh Famine – Another of those searing riffs, climbing up and down the scales, there’s an outstanding freshness and life to this, infusing it with zest and metallic strength. Very much riff-based, it’s a tangy composition, with intelligent structure and a heightened feelgood factor. Astral Awakening – Powerful cymbal hit intro, now the classic rock groove comes into play and with it, a slight blues edge. Still, that hardened edge remains, cemented by the guitar style. In this instance, it’s a more accessible arrangement, for hard rock fans, in addition to metalheads. Brief, but stuffed with chunky steel, yet ending on a minor acoustic key. Versatile and flawless. Sin Of The Innocent – Pepping up the speed again, this is sheer raging power. Once more, that whammy bar makes an appearance, well-placed, to increase the pitch and taking over, to bring it down again, at the end. Superb performance, shrieking with thrash fuelled melody and energised aggression. Relentless Cleansing – Drumbeats intro here, bringing a hardline feel to the sound, surrounding it in steel. Smoking hot riffs galvanise it into action, capably supported by the drums and the whammy presence, always adding that vital life force, creating an affirming edge. F.T.C. – Busy sound, gradually revealing a strong visual landscape, of a Gothic nature, purely instrumental and darkly atmospheric. An anticipatory edge to this, as if warning of some sinister threat approaching. Well played mystery card. Inhumane – Very slightly overwhelming note to this intro, soon swinging into safer action, incorporating some wah wah effects and more melody. Just keeping you hanging, with that anticipatory tone, like a cliffhanger scene, then reverting back to form again. An air of warning enters the vocals, like a lingering threat and once again, the Slayer-esque format enhances its listenability further. Cringe Cerebral Cage – Immediate safe predictable joy, in that intro riff. The anger really ratchets up a few notches, through those vocals, as the Slayer sound persists. Taking the riffs up, while still keeping them dark, the vibrancy always assisted by the whammy, it ends on a Skid Row-esque flavour, echoing Slave To The Grind era closing section of ‘The Threat’. Perfectly timed placing. Overall – Performed with effortless expertise, ‘TAA’ doesn’t simply echo the best of classic and thrash metal giants. It brings its own brand of fire and passion, adding a signature of enlightened effects usage and captivating intro sounds, instantly hitting and holding your attention. Nailing those unique skills and balancing classic accessibility with heightened thrash catch, ‘TAA’ makes SUBTYPE ZERO a name to remember. Few can boast such impact from a debut album. Original, vibrant and life affirming. For fans of Slayer, Testament, Skid Row, Pantera, Danzig, Motorhead, Savatage. 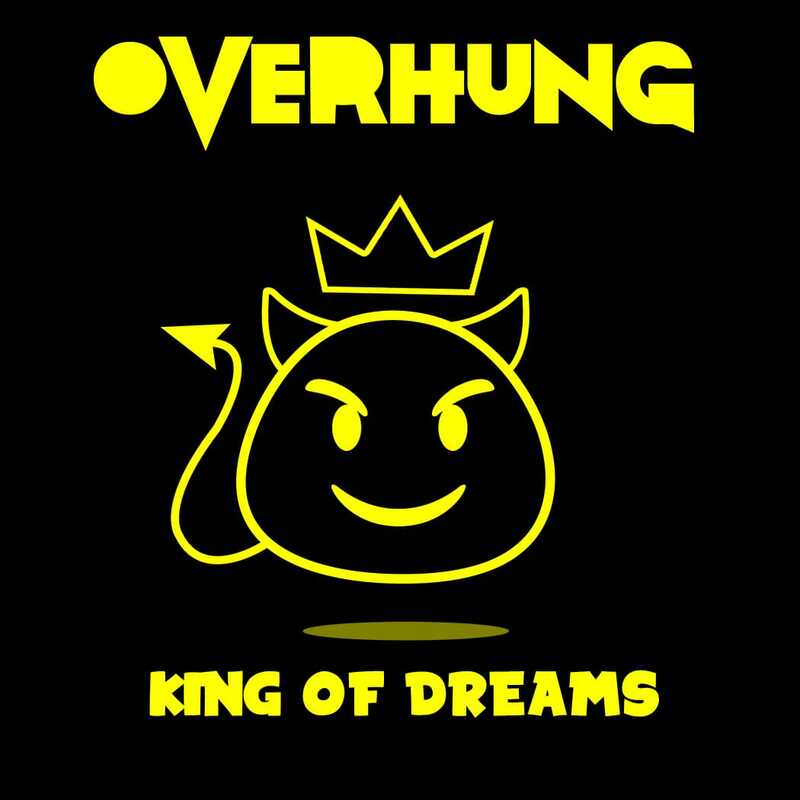 Mumbai band OVERHUNG now release their new single, ‘King Of Dreams’, via premiere, on http://www.PureGrainAudio.com. Following up the ever popular ‘Moving Ahead’ album, earlier in the year, released on Test Your Metal Records, as is ‘King Of Dreams’, the new single’s sound is about the same loud rock ‘n’ roll sound as the album. Commenting on their feelings about ‘K.O.D.’, OVERHUNG say they’re beyond excited, especially since it’s been achieved throughout multiple continents, countries, studios and engineers, thereby, embodying its title, through the production. Inspired by Poison, AC/DC, Motley Crue, Deep Purple, Led Zeppelin, OVERHUNG are all about late 80’s and 90’s rock. Their philosophy of music as a new religion could well catch on. Rightly perceiving it (music) as an international language, OVERHUNG are all set to take the world by storm, with this next release. Audience responses to their gigs so far have proved that the process has already begun. King Of Dreams – Instant fulsome, catchy bass sound and classic 80’s/90’s vocal shouts. Great old school lyrics and strong riffs throughout. Well paced and groove filled, this is gonna go down well with all true rockers. Nice blues section, throwing in a bit of soul and an immaculately timed drum hit just move so smoothly, while the pitch heightens and the consistency of those anthemic choruses really make it. Real sing-along stuff and a smooth ending means it slides down well, like your favourite tipple. You’re gonna want to dig this out and listen again. Style, catch and feel-good melodies, it’s got it all. Like that sense of homecoming, when you enter your favourite haunt, with your favourite people and instantly drop your guard, this is guaranteed ease and top-level binge quality material. For fans of BlackBerry Smoke, Black Stone Cherry, all classic 80’s hair metal, glam rock and 90’s hard rock.